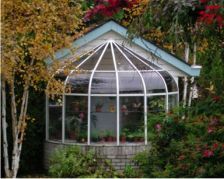 Top-quality Gable style greenhouse for the serious gardener, clubs, schools or any group that requires a larger growing area. 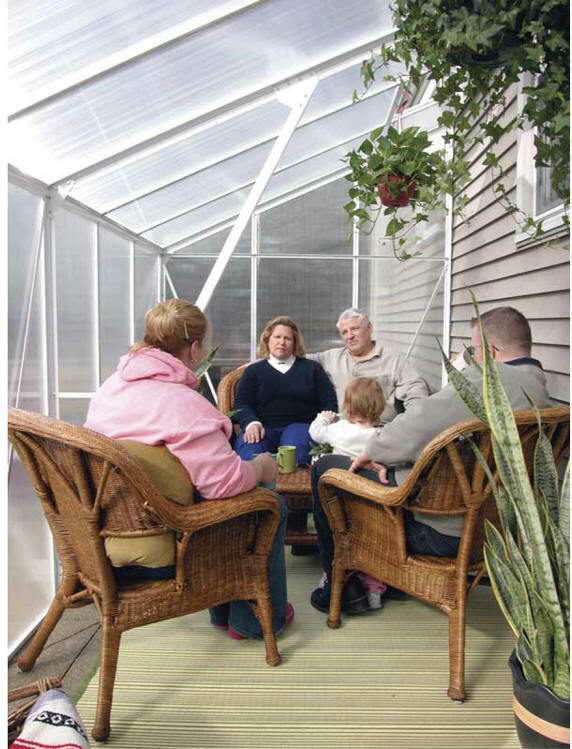 Warranty:10 year warranty on both frame and polycarbonate. 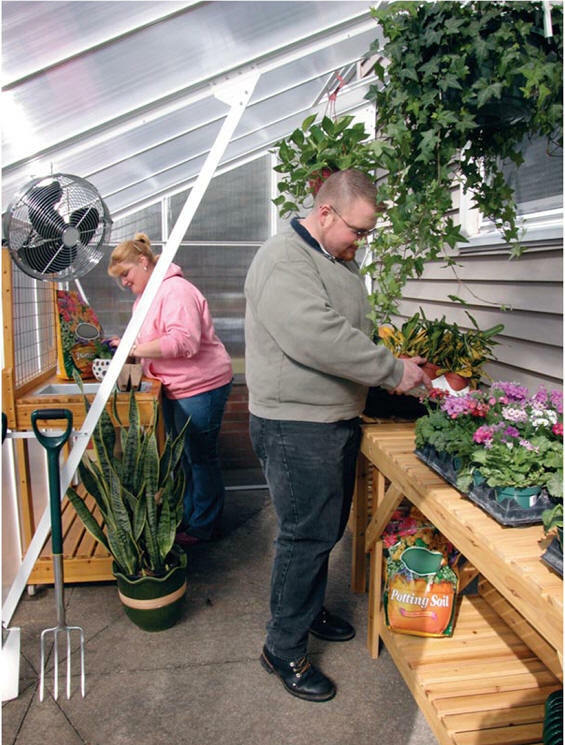 Base for Gro Pro Greenhouse: Suggested bases for our Gro Pro Greenhouses, It's powder-coated steel. 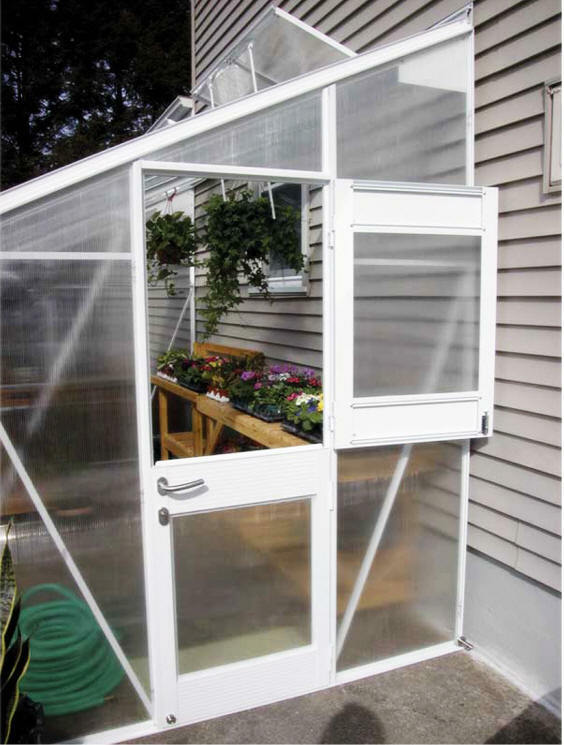 Solar-Powered Vent Opener: Greenhouse Solar-Powered Vent Opener keeps plants healthy and saves energy! 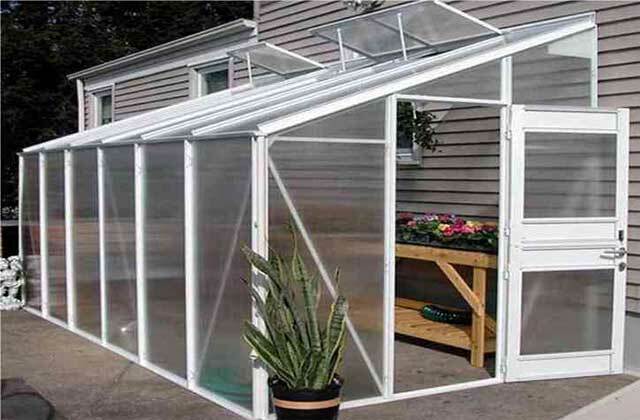 Medium Greenhouse Equipment Kit: Kit Includes: 10,000 BTU Pro-Com Blue Flame Greenhouse Propane Heater, 2 NEMA 4 DuroStat Dual Voltage, Waterproof Thermostats. 50' 5/8" Coil Hose, Telescoping Watering Wand, Heavy-Duty Pistol Grip Sprayer,12" ValuTek Hanging Circulation Fan, 12" ValuTek Direct Drive Exhaust Fan with Shutter, 12" ValuTek Motorized Heavy-Duty Aluminum Intake Shutter. 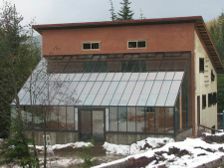 Large Greenhouse Equipment Kit: Kit Includes: 20,000 BTU ProCom Blue Flame Propane Heater, Control Blower for Blue Flame Heater,16" ValuTek™ Direct Drive Exhaust Fan with Shutter,12" ValuTek™ Combo Air Circulation Fan, 18" ValuTek™ Motorized Heavy Duty Aluminum Intake Shutter,2 NEMA 4 DuroStat™ Dual Voltage, Waterproof Thermostats,50' of 5/8" High-Flow Coil Hose,28" Watering Wand, Heavy Duty Pistol Grip Sprayer.